What a wonderful second week of school we are having! Our students are quickly normalizing to school and we are so proud of them. Thank you to our PTO who helped to comfort our new parents with the Yahoo and Boohoo breakfasts last week. Yesterday, Dr. Clayton Wilcox presented the 2017-2018 end-of-year test results as well as the CMS 2024 Strategic Plan entitled What Matters Most. • 85.1 percent of CMS students graduated within four years. • The percentage of students who were college and career ready (CCR) stayed the same or increased in math, science, and biology compared to last year. • The percentage of students who are CCR in 3-8 reading has decreased overall since last year. Literacy continues to be a particular area of focus for CMS. • English Learners (ELs) as a subgroup experienced the largest and most consistent increases in CCR rates across all tested areas. • 75.1 percents of schools met or exceeded growth expectations, an improvement over last year. • Sixty-seven schools (38%) received a School Performance Grade of A or B. Of these, 49 schools maintained the same grade of A or B from last year. The North Carolina Department of Public Instruction also released the annual school performance grades during a press conference at the State Education Building yesterday. I am proud to share that Chantilly received an A, which is now the top grade. The grading scale was adjusted by the General Assembly and therefore the letter grade of A+ rating no longer exists. We are truly proud of our entire staff, students and our community. Together, we GROW! I am looking forward to another great year as we continue to grow and help develop our students as lifelong learners. Friday, August 31 was Maria Montessori‘s birthday. Our entire school participated in honoring her life by taking a peaceful “silent walk” around the sun as we remembered and celebrated her life and the love she had for children and education. The staggered journey began in the front lobby of the school and students slowly walked around the gym, observing certain periods of time, artifacts, pictures and doings of her works. This was a highlight for our school organized by Ms. Jamie, as it was important to value Maria as a true living legacy in education. We ask that all afternoon transportation changes are communicated to the office (Ms. Emilyemilyf.tremoulis@cms.k12.nc.us) and your classroom teacher via email no later than 3:00pm. We are experiencing numerous phone calls in the main office concerning transportation changes near or at dismissal time. This causes major disruptions in the main office and our classrooms. This new process will ensure that we are accurately sending students home in the way you are requesting, allowing us time to notify the teachers, and that you feel comfortable concerning the afternoon procedure for your student. If possible, please begin to normalize your child’s mode of transportation home. We are experiencing daily changes and this can become a safety issue. Consistency and a normal routine are very important for our students. Thank you for supporting us as we make changes to help our school run more efficiently. As a friendly reminder, Wednesday, September 12th is an Early Release day for students. This day is used for Professional Development for our staff. Students will dismiss at 1:15 pm on this day. Please make provisions early for this day. If you need after school care, contact our After School Enrichment Program now by calling the main office. Chantilly orchestra is open to interested students in grades 5 and 6. Students are taught how to play the violin and meet twice weekly during the school day (45 minutes per class). Nightly at-home practice is required. Families are responsible for providing an instrument and required instruction book for their child’s use. Ms. Lisa will send you some information about what takes place in orchestra and how to obtain a rental instrument for your child’s use. Once again, we are inviting brave and cunning kings and queens in Lower and Upper El to join the club for weekly games and instruction. All are welcome—no experience necessary. We plan on meeting every Friday morning before school, from 8:00-8:45 AM, in the Media Center, starting on Friday, September 14. All members who are interested will have the option of playing on a Chantilly team at one or more of the three CMS team tournaments, held throughout the school year. Questions? Please contact lead parent coordinator Mark Wilson, at markwilson625@hotmail.com. We plan to continue our tradition of not charging any money for participating in this low-key, volunteer-run club, but as usual we are asking parents/guardians of members to volunteer to help chaperone the Friday morning club meetings a minimum of twice during the school year, if your schedules allow it. Chess experience is not necessary for chaperoning the club, and younger siblings (in Primary) may be brought along any time a parent hosts. (Be sure to renew your registration or register as a CMS volunteer, here in advance of volunteering. Use the same website to log hours after each time you serve as a volunteer.) Here is the Sign Up Genius link for Chess Club parent volunteers. If you’ve not already done so, please take a moment to fill out the online family contact information form for each student you have attending Chantilly this school year. The form can be found here or at: https://goo.gl/forms/qgnqu4lKER6C86TC2. Information collected here will be used for school and classroom communications. Another big thank you to all who have already sent in their IYC contribution for the year! The response so far has been great, and we are already about one-third of the way toward this year’s goal of $15,000. Even more important than this monetary goal, though, is to get as many of our families as possible participating in the “Invest in Your Child” campaign to raise funds for classroom materials, to be used by all of our children. Any amount will help! If you have not yet done so, please contribute via Pay Pal or check and return the IYC form in the envelope provided with your back-to-school folder in your child’s backpack. Also, if your company matches charitable contributions, please be sure to request that matching donation at this time, too. 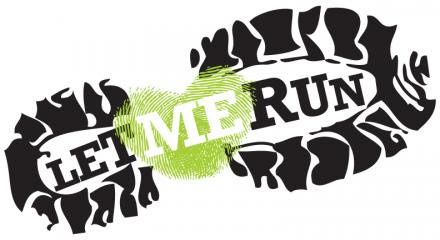 Let Me Run is a running program for 4th-8th grade boys, but it’s more about the boy than the run. Counteracting the negative pressures society places on boys, the program uses running as the vehicle to inspire, teach, and reach them. Combining exercise with fun activities and lessons, our trained coaches inspire boys to be courageous enough to be themselves, build healthy relationships, and live an active lifestyle. Registration at Chantilly is now open! The Fall season starts on September 24th, meets Mondays and Wednesdays before school (7:30- 8:45) for an hour and fifteen minutes, and ends with a 5k race on November 17th. Watch this video (https://vimeo.com/166804842) to learn more and register at LetMeRun.org. (http://www.letmerun.org/) Questions? Email lesliemishoe@gmail.com.